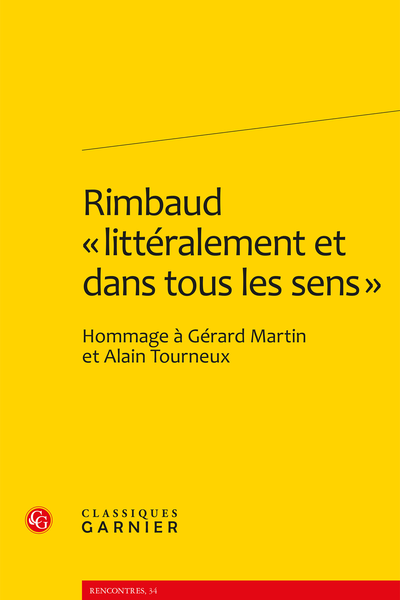 Abstract: This volume explores the work, life, reception, and "myth" of Rimbaud through a combination of previously unseen reproductions, new readings, and original research into the publishing history of his writing and his life. Mais que sont devenus les manuscrits de Paris se repeuple ? À quoi nous sert donc Rimbaud ? Une question toujours actuelle ? Le Rêve de Bismarck : dernière tentation quatre-septembriste ?